Snap-in HDMI feed-through coupler for connecting two HDMI cables together. 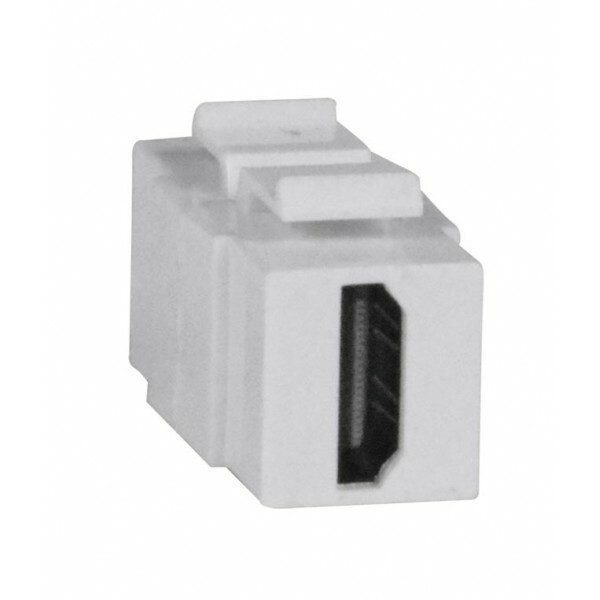 HDMI connector is oriented vertically when installed in a standard keystone wall plate, patch panel or surface box. Works like a barrel connector to connect two HDMI cable ends.